I’ve already shared a list of my “essential” Indian spices for vegetarian and vegan food. This is my “very nice but non-essential” list. Acquire these spices after you’ve acquired the essentials. As I compiled this list, I realized there were several reasons these spices are on my “non-essential” list. Some of these spices are already included in various masala blends – including garam masala – so, unless you’re making your own spice blends, you don’t really *need* to have them in your pantry. Other spices are very nice to have on hand, but are easy enough to leave out of a dish or find a substitution for. “Dear, what’s that smell?” your significant other asks, striding into the kitchen and wrinkling his/her nose. See how much fun Indian cooking can be? If you don’t have asafetida, most cookbooks say you can leave it out or add a little extra onion or garlic instead. 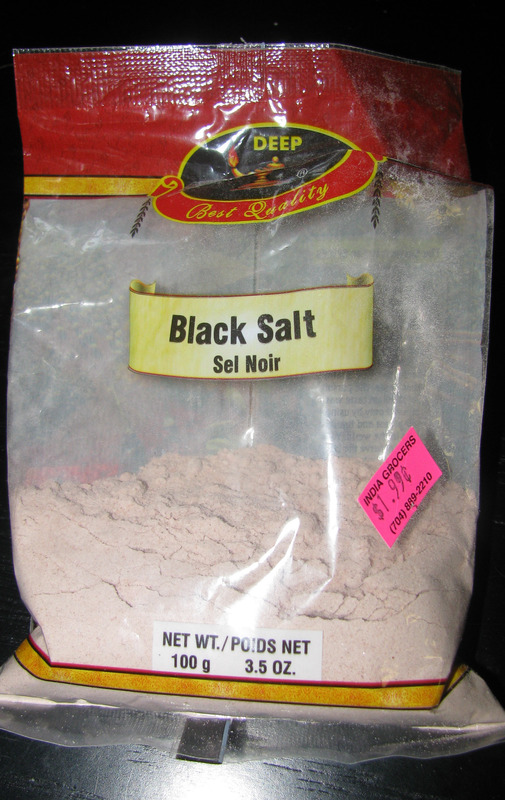 Black Salt (kala namak) – A salt mined in North India and Pakistan. It’s actually purplish, not black. It’s salty, like salt, but also very … pungent. In fact, the first time I smelled it, I thought of rotten eggs! It’s an acquired, addictive taste and used on chaat, raitas, fruit… Add a little to an “eggless” egg salad or a tofu scramble, and the black salt will make it taste exactly like eggs! It’s supposed to be good for digestion and cooling off heat in the body. If you don’t have black salt, use sea salt instead. Chaat Masala and Chana Masala – Two popular spice blends. Chaat Masala is a tangy, salty blend frequently used on chaat (snacks) and Chana Masala (or Chole Masala) is most popularly used on chickpeas but in other recipes as well. I list these as secondary spice blends only because I think it is absolutely essential to buy your Garam Masala first. Cinnamon (dalchini) and Nutmeg (jaiphal) – You’re probably familiar with these, and might even have one or the other lurking in your spice cabinet. In America these spices are used mostly for desserts; in Indian cuisine they are also used to flavor main dishes. However, since they are ingredients in garam masala, you don’t really *need* to buy just plain cinnamon or nutmeg unless you plan to make your own spice blends, or will be using them for desserts or chai. Cinnamon inhibits bacterial growth in food and helps stabilize blood sugar; nutmeg is supposed to relieve fatigue and gas. Curry Leaves (kari patta) – Another South Indian spice, rarely used in North Indian cooking. Sold as whole leaves – fresh, dried, or frozen. Curry powder is, confusingly, not made from ground curry leaves but is instead an English spice mixture. Do NOT try to substitute curry powder for curry leaves. Fennel Seeds (saunf) – I really haven’t cooked with fennel. I’ve used fennel seeds mostly to freshen breath. Or I’ve boiled a handful in milk or almond milk, then strained the seeds out, for a comforting bedtime drink to aid digestion. Fenugreek – Seeds and Leaves (methi) – I’ve never used fenugreek seeds in cooking. Fenugreek leaves, which you can buy fresh or frozen, are often added to breads. 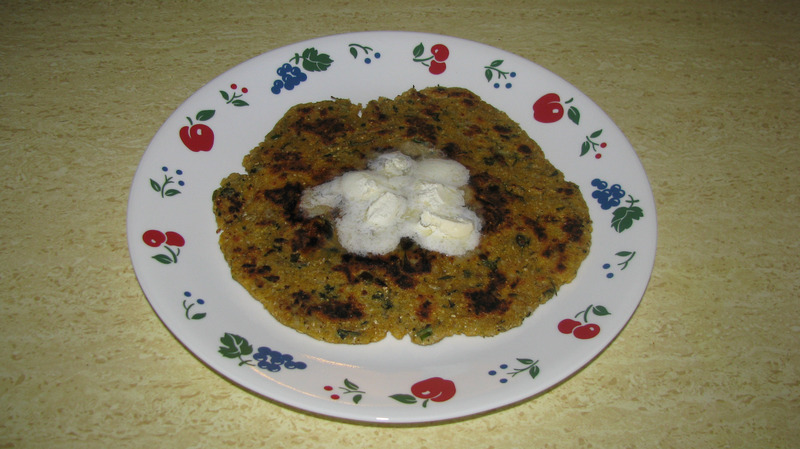 I use methi for breakfast cornbread griddlecakes, cooked on top of the stove. Fresh methi tastes much better, but I admit to keeping a bag or two of frozen methi in the freezer for convenience. Fenugreek is said to help lower both your cholesterol and your blood sugar levels. Mango Powder (amchur) – Another South Indian spice, made from dried green mangoes. If you don’t have amchur, you can try a splash of lemon juice or a little tamarind. It’s an ingredient in both chaat masala and chana masala, so if you’re using one of those spice blends in the recipe, it’s probably not absolutely necessary to add extra amchur. Black Mustard Seeds (rai) – The South Indian equivalent of North India’s cumin seeds! Heat a little oil in a pan, toss in a handful of black mustard seeds and wait until they start to “pop,” then use them for tempering (flavoring) dishes. Do NOT confuse these with yellow mustard seeds, which is where we Americans get our ground yellow mustard powder and our prepared yellow mustard condiment. Jaggery (gur) – A form of sugar, made from pressing the juice from sugarcane and then boiling, but not further processing it. It’s brown but should not be confused with American brown sugar, and it is completely vegan. Unlike regular sugar, it possesses minerals such as potassium (45 mg per teaspoon) and calcium (4-5 mg per teaspoon). Mint (pudina) – Used a lot in North Indian cuisine. Mint can be a real surprise if you’re used to sweet minty toothpastes and peppermints. In Indian cuisine, mint is usually salty or savory – not sweet. Use fresh mint, not dried. Also be aware there are some really good prepared mint chutneys out there! Tamarind (imli) – Sour and acidic pulp from the pods of the tamarind tree. Mostly used for South Indian dishes, but it is also used in the “water” for pani puri! Unless you do a lot of South Indian cooking, it’s most convenient to buy this as a paste.